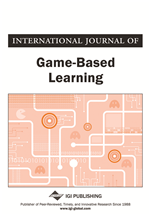 Game jams, hackathons and similar group game creation events have become increasingly popular over the past decade (Fowler et al., 2015). They provide new and exciting opportunities for education and research. They foster creative thinking and innovation (Preston et al., 2012), and strengthen project management and communication skills (Smith & Bowers, 2016); all of which are essential skills for working in industry (Pirker et al., 2016). Our case study explores students’ experiences at the Game Lab Summer School (GLaSS) in Paris, France. GLaSS differs from traditional game jams because students work together over two months, rather than just 1 or 2 days. The objectives of GLaSS are two-fold: 1) to train students to work in interdisciplinary projects with team mates of different backgrounds; and 2) to create games that can be used for scientific education or research. The students are selected to provide an interdisciplinary mix of game creation skills (game design, programming, graphic arts, sound design) and scientific research skills (specifically biology). In 2015, 15 students from around Europe attended. In 2016, a further 21 students attended. The entire program is run over 9 weeks. The first two weeks are dedicated to ice-breakers, lectures, and workshops on scientific games. The following two weeks are organized as game jams, in which the students work in teams and experiment with various ideas. Then the principal project begins: to develop a scientific game in 4 weeks, during which they have access to mentors in various fields of scientific research. The final week is reserved for showcasing the games at the Cité des Sciences, the largest science museum in Europe. In GLaSS 2016, the students developed and showcased 4 scientific games. “Lost in Nanoworld” (Figure 1) is about a lost nanorobot trying to find its way and introduces players to nanophysics. “Muscle Builder” (Figure 2) involves creating and animating skeleto-muscular structures. “Tiny Defense” (Figure 3) involves destroying bacteria using different kinds of antibiotics, teaching players that bacteria become resistant to antibiotics over time. In “Stigmer: Light the Way” (Figure 4) players must work together to escape the maze; game metrics are recorded to enable research about cooperative behaviours.